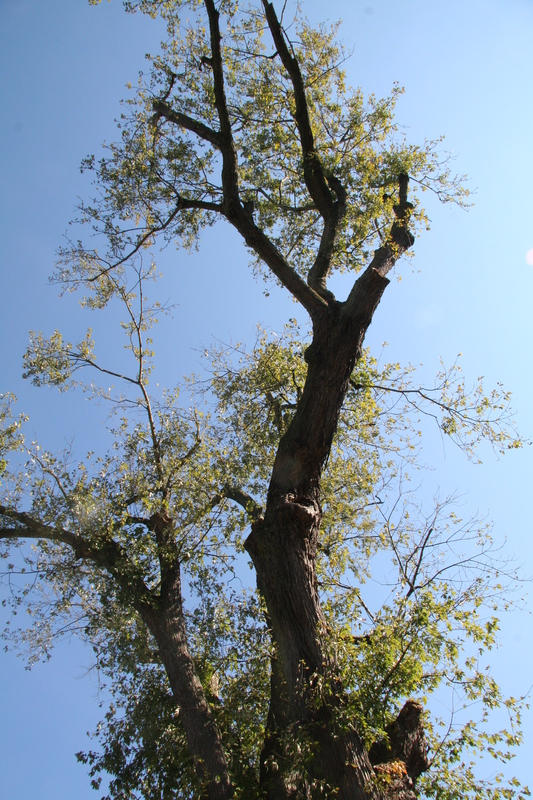 Silver maple is a fast-growing shade tree that prefers wet areas but is very adaptable and can do well in urban areas. However, its wood is brittle and often damaged by storms. Silver maple also does not have autumn color comparable to other maples and its leaves often turn a pale yellow before falling. On mature trees the bark is gray and shaggy, with strips that pull loose at the ends. On young trees the bark is smooth and silvery gray. Silver maple leaves are bright green above and silvery-white underneath with deep narrow sinuses. The buds and samaras are a food source for squirrels.